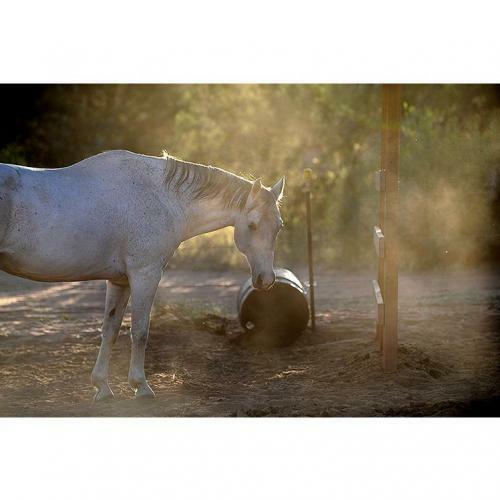 River is a gray Quarab gelding (Quarter Horse/Arabian cross) who is a lovely combination of the best qualities of both breeds. He has been an excellent student of Parelli Natural Horsemanship, which helps him to be very obedient and respectful to handle. River has had some intermittent lameness problems, and at this point we don't feel he is sound enough to be ridden. He wears corrective Natural Balance shoes that help him to be quite comfortable in the pasture and, if adopted, he would need to go to a home that has access to a Natural Balance farrier with a lame horse certification. 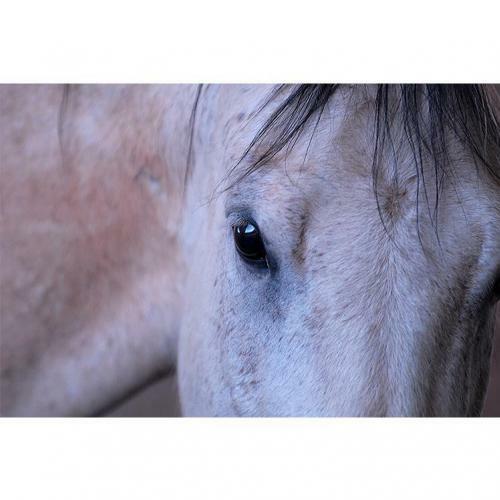 River is a beautiful horse with a wonderful disposition who loves being with people. He smiles on cue and gets along well with his pasture mates. His Horsenality is a mild Left-Brain Extrovert. 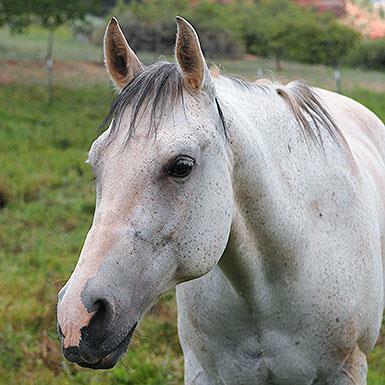 This willing gelding would love to find a forever home with people who could give his story a happily-ever-after ending.